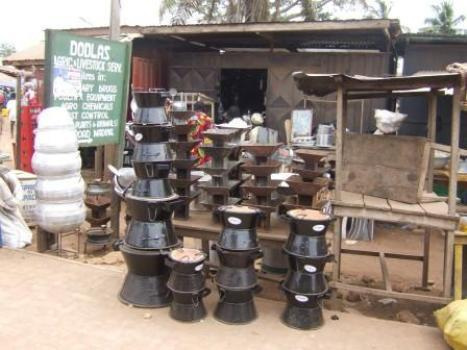 "The single largest issuance of Gold Standard cookstove credits to date." 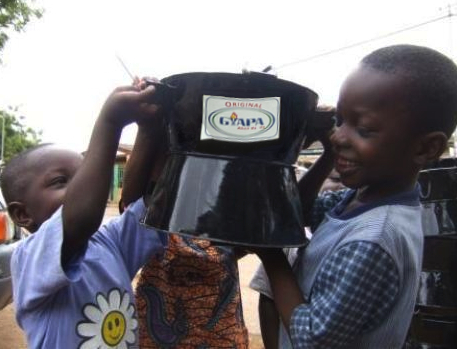 The Gyapa™ cookstove is a low-cost, locally manufactured, charcoal burning, fuel-efficient cookstove that improves the health of families while substantially reducing household expenditure on charcoal. This stove technology reduces the amount of charcoal needed for cooking by up to 50 percent, resulting in significant savings for low-income households. The reduction of charcoal use also results in a reduction of harmful Green House Gas (GHG) emissions. 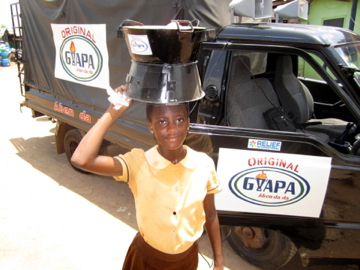 The Gyapa™ cookstove was introduced in Ghana by EnterpriseWorks, a division of Relief International in 2002. 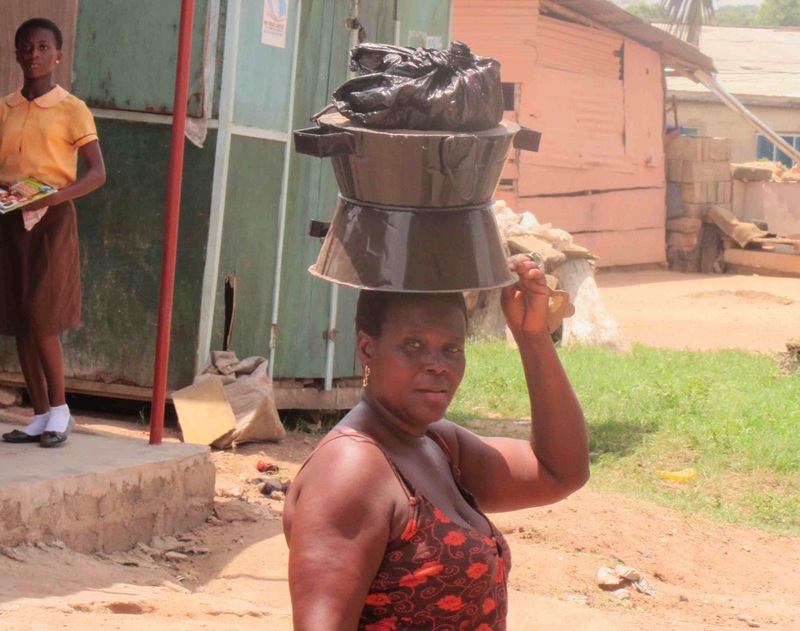 EnterpriseWorks is proud to have nurtured the improved cooking sector in Ghana, having trained and inspired numerous cookstove producers. Two producers in the Gyapa Producer Network throughout the period 2002-2007, have since gone on to establish their own, separate stove production businesses. Gyapa Enterprises continues to support the expansion and local industry development, through providing production and business training, quality control, marketing and trade finance. 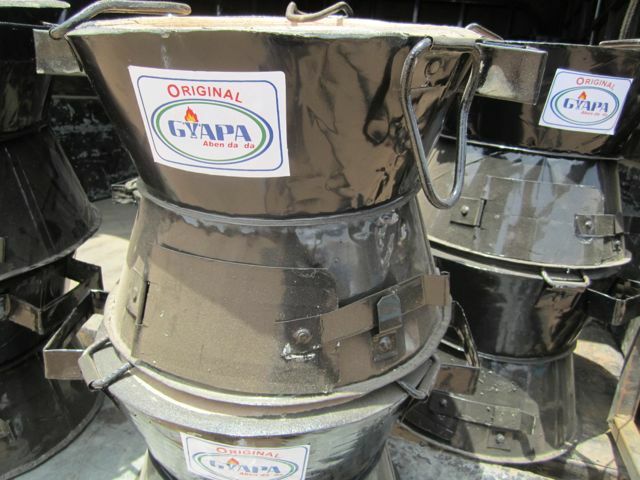 Gyapa Enterprises is also a distributor of the original Gyapa™ cookstove, penetrating new markets for increased access for new customers and ensuring increased business opportunities for producers. exteriors, and finally hammered together. expenditure on cooking fuel, saving Gyapa™ stove users more than $57 million since 2007.